I bought some old maps at the Fremont flea market a year ago. Old meaning 1940. Old meaning in their world snapshot, Honduras still reaches the Pacific coast. Old meaning a couple have routes of past trips or just dreams in pen drawn by previous owners (to those people – I really hope you saw that much of Africa because that would be an amazing trip). 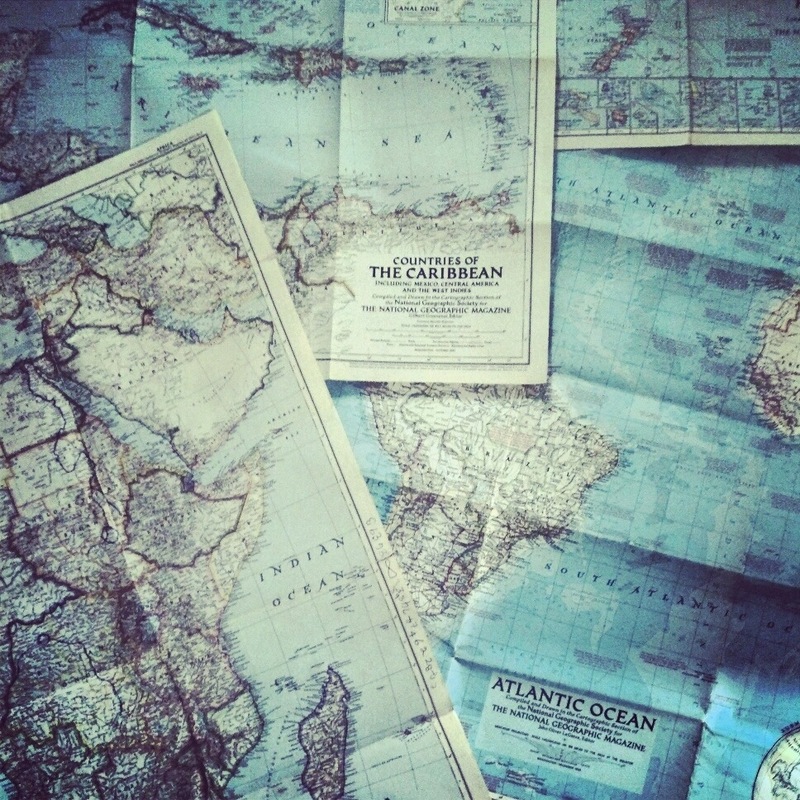 I love maps, both for their design appeal and their possibilities. In the months after buying, I would pull them out from time to time to just take a look and think, ‘If I went now…where would I go and what route would I take’. Pour a glass of wine, spread the huge worn sheets across my coffee table, and let myself have a bit of the thrill of planning, even without an end goal in sight. In 2005 I quit my job, ended a relationship, moved out of my apartment and took off for four months in South America. That’s a whole separate blog right there, but I do clearly remember wanting to go to Easter Island while I was down there – I am drawn to places where not many people ever go in this world, just that feeling while you’re there of how big the physical world is and how much room there actually can be. But that trip was a first, I was a bit more wide-eyed, unsure, and definitely more strapped for cash, so I didn’t go. And yet, the seed was planted. It then, over the years, turned into one of those top places on my always-hovering mental list of where to travel. I would look at these old maps and marvel at the tiny speck of an island so far from any mainland, and with such an unusual cultural history. 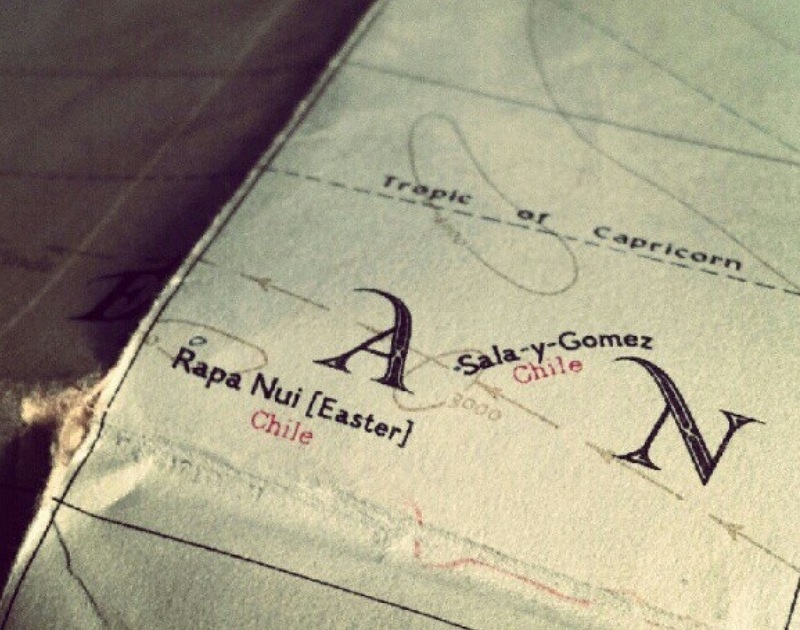 Even the name – Rapa Nui. I knew I’d go someday just didn’t know when and the maps would count for now. Yesterday I bought my ticket. Santiago –> Easter Island, one full week to explore! My dad is coming along for the ride, I’m excited to have him there. Ah I can’t wait to see what those giant heads are thinking!